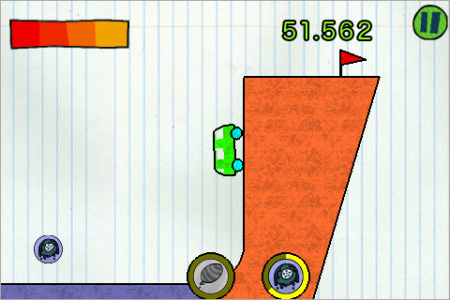 Jellycar 2 was initially a free mobile app, but was later ported to the WiiWare service with additional content. Almost immediately you'll notice that the gameplay is very shallow and still feels like a free mobile game. The levels are basic and boring and the pace of the gameplay will put any grown-up gamer to sleep. Don't expect it to get much better in the more complex levels either because it just doesn't as Jellycar 2 was clearly geared towards a very young audience, but even young children will get bored of the main gameplay mode quickly. Luckily the other mode is much more enjoyable as it requires you to drop shaped blocks in the correct chute and managed to hold my attention for a good half an hour making it reasonably fun. If it weren't for the puzzle mode in Jellycar 2 I would dismiss it to the shovelware graveyard, however with it the game becomes at least somewhat worth considering. Visually the game looks awful and the music, well let's just say that it's even worse that the graphics. As a whole the games' presentation looks like what you'd expect from a free mobile game, but it should have been enhanced for the "paid" WiiWare port of the game. Final Verdict: Jellycar 2 is a mostly disappointing game that fails in both gameplay and presentation and is just not worth its price, however the surprisingly enjoyable puzzle mode saves this title from being banished to the shovelware graveyard. I still only give Jellycar 2 a neutral recommendation. 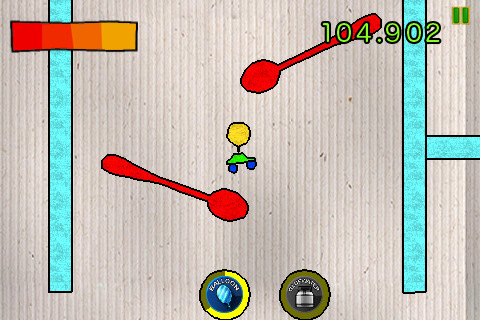 Moto Heroz is the only good physics racer/platformer available in the WiiShop. It's sad that the in-game DLC shop never received any content, because the sales were so horrible. Moto Heroz really is worth $15 USD. @NINTENBRO82 wrote: Moto Heroz is the only good physics racer/platformer available in the WiiShop. It's sad that the in-game DLC shop never received any content, because the sales were so horrible. Moto Heroz really is worth $15 USD.